RES (Renewable Energy Systems) is a global renewable energy company dedicated to the development of renewable energy solutions. RES group have been developing innovative, eco-friendly technologies and seeking out effective renewable energy sources for over thirty years. 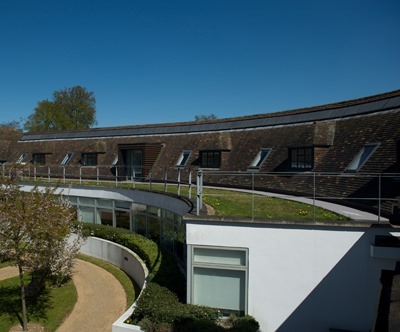 They wanted to give their office in Hertfordshire a fresh new look but, naturally, they were anxious to avoid manufacturers and materials that went against their environmental priorities. 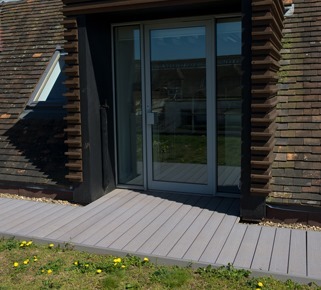 We’re very eco-conscious here at TimberTech, and the RES group recognised straight away that our recycled decking boards were ideal for the task at hand. Our outstanding decking materials are produced without felling a single tree, since the manufacturing process only uses reclaimed wood that would otherwise be thrown away. Not only do we make attractive, high-quality decking without harming the environment, we actually help to keep usable wood out of landfill sites. Thanks to TimberTech, over 45,000,000 kilograms of wood waste are saved from the dump each year. 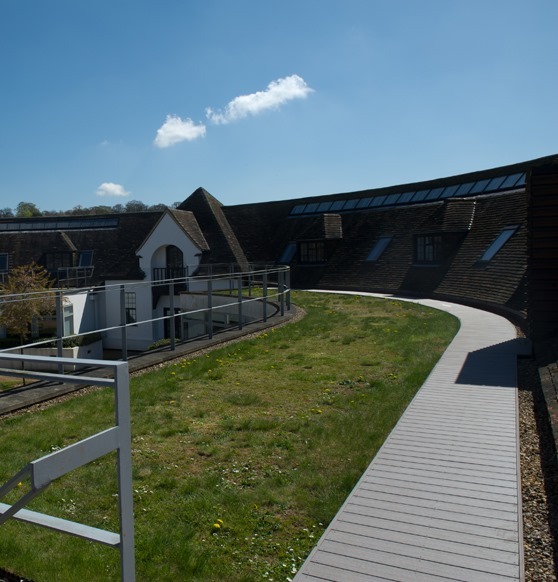 Outside the RES group’s Hertfordshire office is a stunning curved walkway, and the RES bosses got in touch with TimberTech to tell us that this feature was in dire need of an update. They were impressed by our environmentally-conscious decking products, and they had decided that we were the team for the job. Supplying the necessary materials was only the first part of this project. RES group also requested the services of our deck installation specialists, and so it was up to Neil and his team to remove the existing deck boards and replace them with beautiful, durable TimberTech decking. 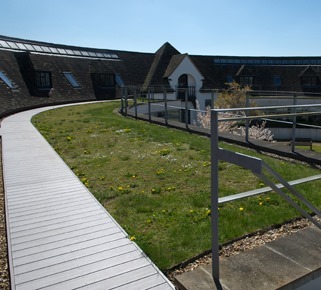 The VertiGrain 2 boards are perfect for the vibrant, contemporary-looking space around them, and the finished walkway looks positively picturesque, with verdant green grass running alongside it and a wind turbine just beyond the office building. We’re very pleased with how the revamped walkway now looks, but what really make us proud are the implications of this project. 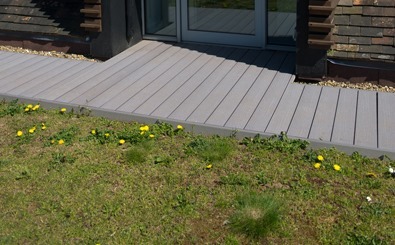 Our decking has always been demonstrably greener than most, but now that our VertiGrain decking has been used by a high-profile organisation like RES, we feel as though we’ve been given a seal of approval by the renewable energy industry. If you’re interested in using our decking products, the TimberTech team would be thrilled to hear from you. Whether you’re planning a commercial project or something a little closer to home, you can get a competitive quotation and discuss your requirements by calling 029 2080 3756 or emailing commercial@timbertechuk.co.uk.